Welcome to the Sutton Writing Group. We meet at the Sutton Public Library on the second Thursday of every month from 6:00pm to 7:45pm. That ending time allows us time to head out before they close the doors at 8pm. We warmly welcome all levels of writers! Even if you just have a glimmer of a novel in your mind, come on out and join us! We do most of our sharing, feedback, and conversation via email, so even if you can't make it to the in-person meetings you should still contact us. We send along stories to read, covers to critique, news about self-publishing, and much more. We are a support and education system for writers of all levels of skill. The in-person meetings are more about getting to know each other as human beings. We learn to trust and understand each other. That way when it comes time to provide or hear critique of a work we have receptive ears. We understand that the person sending the pages scrawled with red marks is a friend striving to help us. It's always easier to hear comments from a friend than a stranger. Here are a few of our current members. Lisa has published over 300 works ranging from full-length novels to novellas, novelettes, and short stories. She's written standalones and series. She's written romance, mystery, science fiction, cooking, self-help, and more. 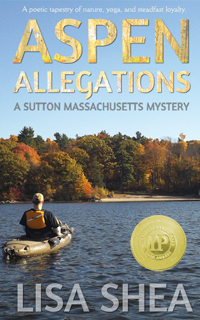 She has four novels in her Sutton Massachusetts murder mystery series, beginning with Aspen Allegations. She also has three novellas in her Blackstone Valley series which are mystery-adventure, beginning with Rumble Strip. Kevin's first book was a young adult fantasy book, "The Squonk and the Horned Beast." His second book was "Black Goose" - a highly acclaimed history of Seekonk, MA from its Native American origins through the end of the King Philip's War. Coming up will be a book on teaching children with special needs, a sequel to Squonk, and a guide for swim coaches. Steve has a series on "How My Dorky Dad ..." featuring a pre-teen heroine. The first is "How My Dorky Dad Became a Hero" and book 2 is "How My Dorky Dad Saves Christmas". Book three involves a ninja, and book four will be on "Saves Our School." He's working separately on an adult romantic suspense series set in Providence. He's also working on a nonfiction series providing advice on negotiations, which he wants to integrate with classes and workshops. Linda is an artist, poet, and author. She has published a book of poetry on coping with and surviving breast cancer. She's written a personal book of poetry relating to Huntington's. She's published a cute short story about learning the short vowel sounds and is working on a sequel for that. She's also working on a memoirs and on a series of short stories bringing to life Worcester of the '60s and '70s. S. has a degree in creative writing and has a multitude of projects going simultaneously. She is working on an epic fantasy novel. She's up to chapter 56! Her 21-year-old heroine is a dreamcaster in a dystopian world set 500 years in the future. The title of book one is Dreamcaster. she's working on a series of short stories featuring characters who represent classic emotions such as envy, fear, and so on. She is working on children's books for pagans. On a werewolf series. On a spy-school series. on a deep fantasy series. On a twist on princess stories. Her first published work is A Demon's Game, the first in a series about a trickster demon who refuses to leave a young witch alone. Jane has published a short true children's story on the move of a historical building in Grafton. She's also released "Vintage Hollow" - a series of humorous stories based on residents in a senior living facility. Sheryl is working on several different projects. The first one is "Honor the Rising Sun" - a middle-grade spooky story set in Rhode Island. Next she will be releasing a trilogy of books which explore the challenges of being a binge eater. After that, Sheryl is also interested in working on a children's picture book, a screenplay, and a young adult series where children find a magic book that explores the history of witch trials all over the world. Book 1 is about Abigail in the Salem Witch Trials. Book 2 would feature a "B" person and so on. She's also contemplating a story set in the 1980s which has both an adult version of the story and also a kid's version so that parents and kids could read about the story together. Christine has two books out. The first is "Lost and Found At the Bowl-O-Drome" - a woman's quest to find herself. The second is "Winds Of Providence: A Novel of the Hurricane of '38" which is a story set, as you might guess, in Providence during the hurricane of 1938. Christine is now working on a book set in Nova Scotia as well as several other projects. Lily's first novel is "Losing the Bubble" - a tale of a teenage boy in Massachusetts who travels back in time to the time of the Shays' Rebellion. She is working on a sequel for this set during World War I.
Lily also is working on a delightful series of short stories involving a pair of best friends and their adventures in Sutton. Based on a real life letter, Summer of 1840 is a tale of romance an adventure set in Millbury, Sutton, and other local towns during 1840. Art volunteers at Old Sturbridge Village in the dance group and his knowledge of this era really shines in his story. Tracy has written two rhyming story children's books in print and ebook format. One is Please Don't Close the Puddles. The other is Is God In the Mailbox? Both are beloved by many area children. Allan is a poet! He's published on book so far and is working on furthering the reach of his poetry. He has Native American heritage and his poetry shines with connections to life and nature. Ophelia has a series of best selling romantic suspense novels. The first, Worcester Nights, is set in Kelley Square in Worcester, MA. The subsequent books are set in Bermuda, Italy, Vegas, and Cozumel. There are also shorter short stories on a variety of topics. Patty has a variety of funny short stories revolving around recycling. She is compiling them into a book tentatively titled "The De-clutter/ Recycle Club." It seems everyone she knows deluges her with spare stuff and iPhone covers and clothes, convinced she needs them. Patty is working on assembling these. She's working on a book of childhood memories as well. She's also interested in digital photography. Bob loves film noir stories and is working on a classic private eye novel. 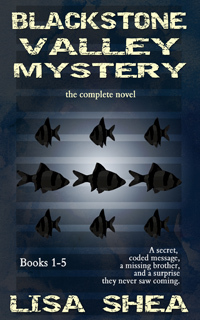 He has also written stunning short stories evoking fishing off the Massachusetts coastline. Joann was a journalist in a previous life. She's recently moved to Massachusetts and is working on her first short story. Jane is working on her memoirs of growing up an only child. It is titled "Let Your Light Shine." She is also compiling the Civil War letters of her great-uncle Hiram who perished in the Battle of Antietam. Nancy has a yellow lab named "Kodiak Bear" and is working on a children's book called The Great Kodini. Nathan has completed his first novel, intended for teens, with animals such as tigers and elephants as the main characters. He is now editing it. Barbara is now semi-retired and has some space in her schedule to focus on her creative writing side. She had worked, for a time, as a Hospice Care Volunteer and would like to use some of her experiences with the dying as a basis for her existential heavenly phenomenal experiences. She would like to get into the psychological side of how people feel and act when near death, their experiences and also about the near death experience. Pauline is a retired teacher who is both a writer and a poet. She crafts beautiful essays about experiences in life. Ken enjoys writing observations and contemplations while wandering thru the woods or paddling on a pond. TE writes gripping young adult fiction. Starting in 2016, the Sutton Writing Group began publishing annual themed compilation works. These were released during the holiday season and benefit local charities. The first one, Massachusetts Calling, benefits local food patries and women's shelters. The second one, Animal Crackers, benefits local animal shelters. We have not yet decided on the theme for the 2018 compilation. Gardiner Design - Several of our members have used Debi Gardiner for their book cover designs. On one hand she costs more than $5 ;). A cover can cost $400-$500. On the other hand, the quality is absolutely top notch. You work closely with Debi over the course of weeks to hone that cover to be exactly what you want it to be. Take a look at Kevin's Squonk cover to see the attention to detail and the care of feedback she uses. Reader's Digest 100-word Story - the place to submit those short short stories and get paid for them! They must be true. 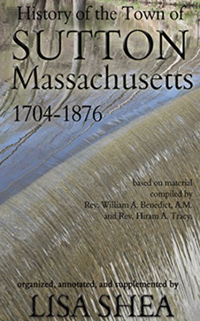 All local Massachusetts authors should investigate having their ebooks added to the Massachusetts online library system!